Two months and 12 game weeks in, 2011 is just barely over 2010 in terms of overall attendance. Columbus is mostly the driving factor with over 3000 less seats filled in average during the present season compared to last year. Add to this the delay in home play for Kansas City and the numbers brought in by sellouts in Cascadia do not change the overall figures that much. At this point we can also start playing with other numbers such as the median. 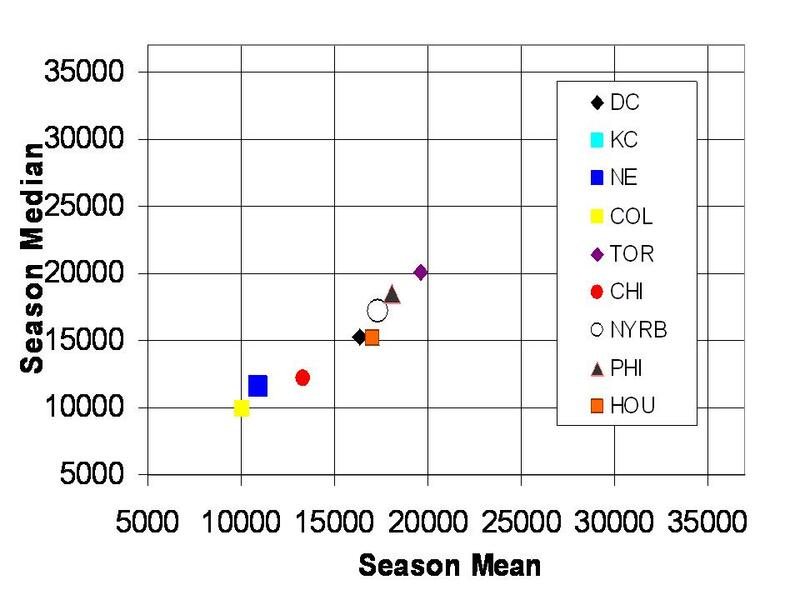 If we look at the Eastern conference alone, we see that the mean for Houston, for example is much higher (>2000) than the median. DC also exhibits similar numbers, albeit smaller than Houston's. 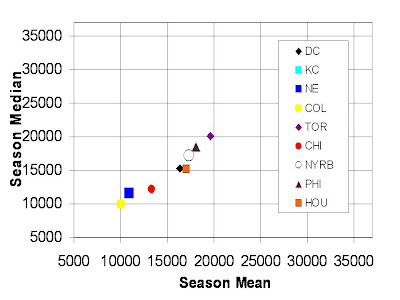 Conversely, New England seems to have slightly higher median attendance numbers than the mean suggests. This is mostly due to one or two dates with numbers far below 10,000.